The FluoroNav surgical guidance system enables more accurate, efficient placement of spinal instrumentation in complex spine reconstructive procedures. 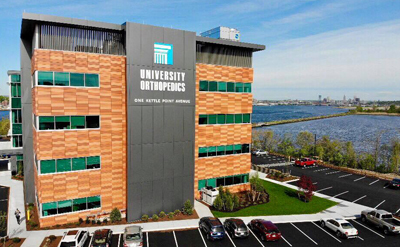 The system is also known as “GPS for the spine,” the system allows surgeons to place orthopedic screws more efficiently, and also reduces the amount of X-ray radiation exposure to patients. 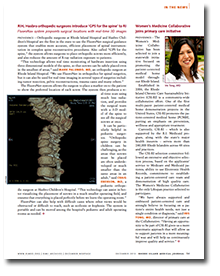 Click here or select the image above to download article featured in Rhode Island Medical Journal.